One of the most difficult aspects of sticking to your workout routine and being consistent in going to the gym is varying up your exercises. Doing the same exercises every time you go to the gym not only gets old and stale real fast, but it can stunt your progression and growth also. If you are one of the many people who goes to a gym to work out there is no reason why you should ever fall into this kind of slump as there are so many different machines and variations of exercises which you can use to do so. This exercise is one you should include in your routine if you really want to add some volume to your chest. The floor press is excellent in doing so because it disengages the shoulder muscles, allowing for more chest engagement and is better on the shoulder joint itself. To do this exercise you just perform it in the same manner you would a normal flat chest press, except you do so on the ground instead of on a bench. Having your shoulders and arms flat against the ground at the lowest position on this exercise allows you to focus more on the middle and top parts of the bench press, where many people struggle. The smith machine incline press is a great exercise you can use to really hit the upper chest without engaging the anterior head of the shoulder. The key here is to find a good bench that is very versatile in the angle you can set it at. Most benches can only be moved in a fixed position, so try to find one that you can move more freely. You want to be doing this exercise at a very slight incline, at only about 20 degrees or so. Any higher than that is going to engage more of the shoulder, so try to avoid doing so. Before you consider doing this exercise, make sure you have a spotter or do so on a smith machine as it can be awkward to do at first. To do the exercise, position yourself underneath the bar on the bench and grab it with an underhand grip with both hands. You should align yourself on the bench to where the bar is at your upper abs. This is going to be your starting and finishing position. Lift the bar up with the reverse grip, and come back down for one rep. 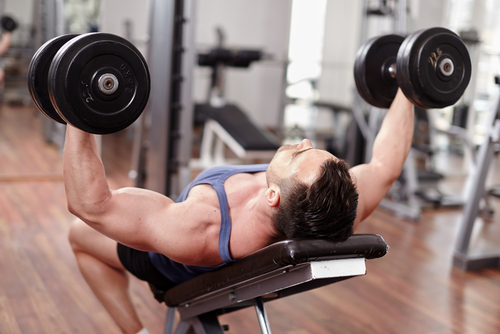 This exercise is done mainly to build volume so you want to go heavier with less reps per set. The reason why this exercise is great is because it hits the chest from a different angle and position, which can really help assist with growth. This is also great for people with shoulder pain or other shoulder problems as the exercise rotates the shoulders less than your traditional bench press does. This machine is an awesome one which many gyms have, however many of us fail to use. This machine is great one for isolating each side of the chest, while getting some great secondary work in on the shoulders simultaneously. With that being said if you are trying to really mix up your chest routine, you may have tried this machine at one point or another and may be disappointed here. 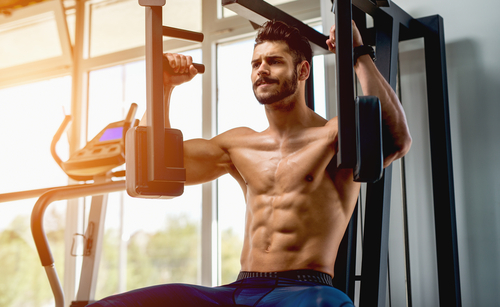 If this is the case you can throw in another variation by sitting on the machine sideways, and pressing out with your arms for an even more dynamic exercise. This exercise is not only going to give your chest a great workout, it is an easy one that can be done at home with little equipment. All that you need is a straight bar, some weights, and a towel. Take the towel, stick it in a corner and put one end of the barbell in it. Afterwards, take some weight, throw it on the other end, and you now have your own personal setup. This exercise can either be done with both hands and good amount of weight to add volume, or can be done with one arm for isolation. 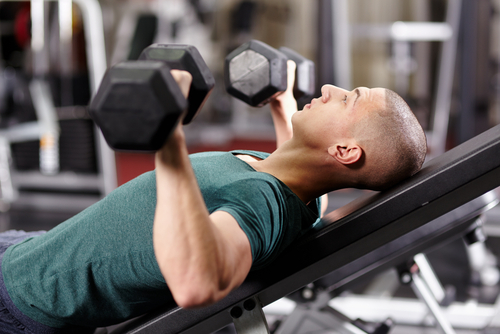 This exercise is one that is going to mainly focus on your upper chest, as the movement is done at an incline.